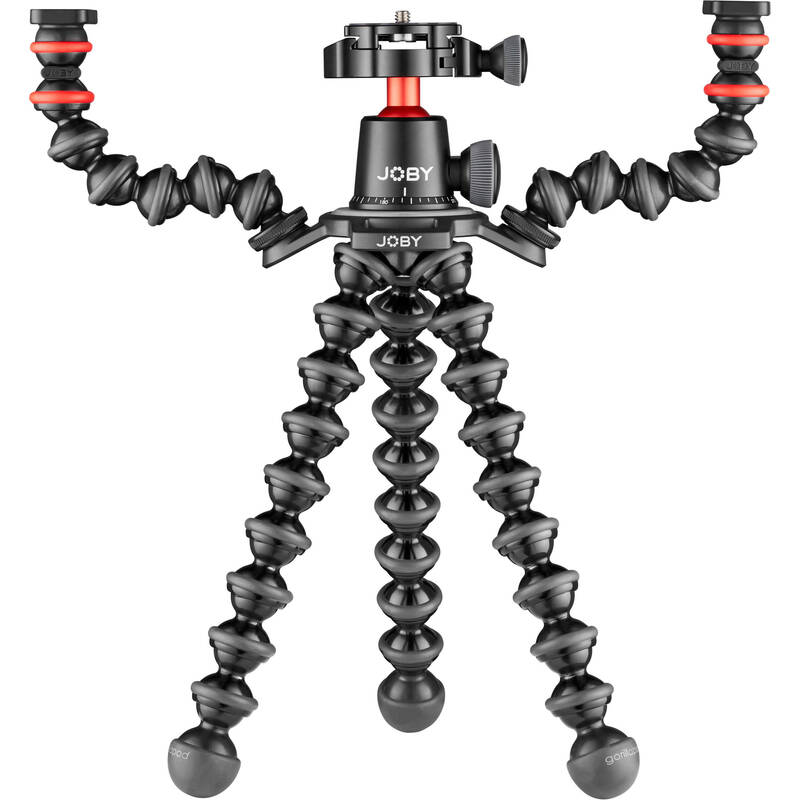 The black, charcoal, and red GorillaPod 3K PRO Rig from Joby is an optimal combination of support designed for videographers and photographers alike. The legs wrap and grip around rails, pipes, or tree branches for that unique angled shot. At the same time, you can have stable support on a flat surface for that one-on-one video interview. 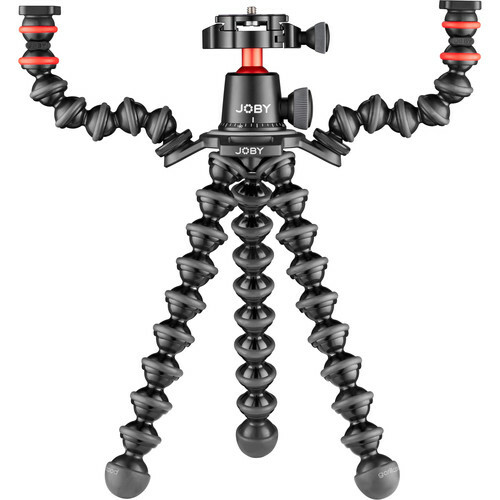 With this kit you can also add the Hub Plate Adapter, which sits between the head and the legs, to attach two GorillaPod Arms with cold shoe mounts. This enables you to mount additional accessories like LED lights to illuminate a scene for either video or photo.